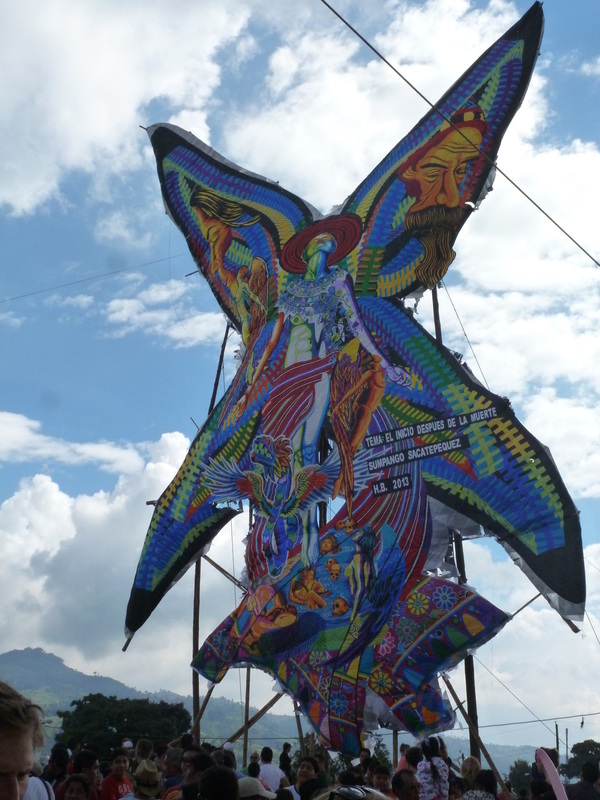 The kites are made entirely of colored tissue paper and glue, mounted on bamboo. The largest are the size of six story buildings. 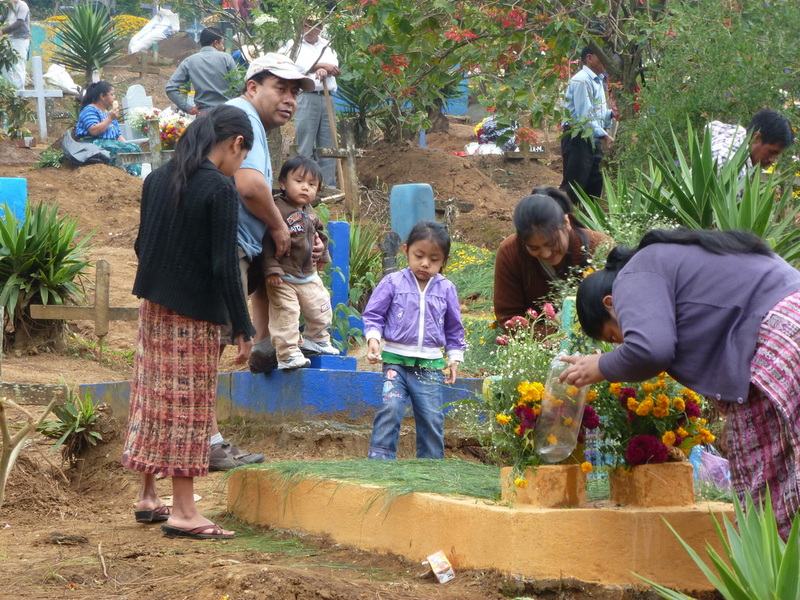 "The Day of the Dead-tour with Louise was the highlight of our stay in Guatemala. 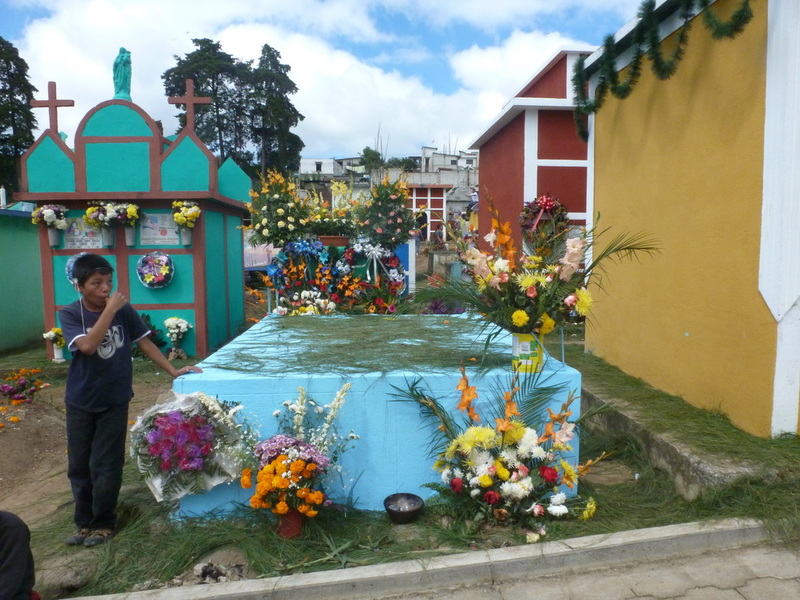 The fact that the tour visits Sumpango for 3 days makes it posible to totally experience this tradition. Not just being a spectator, but being a part of it. Understanding the tradition, knowing the amount of logistics and work involved in constructing a giant kite, seeing the villagers walking up towards the festival. It was a splendid tour that we strongly recommend to you to experience too." 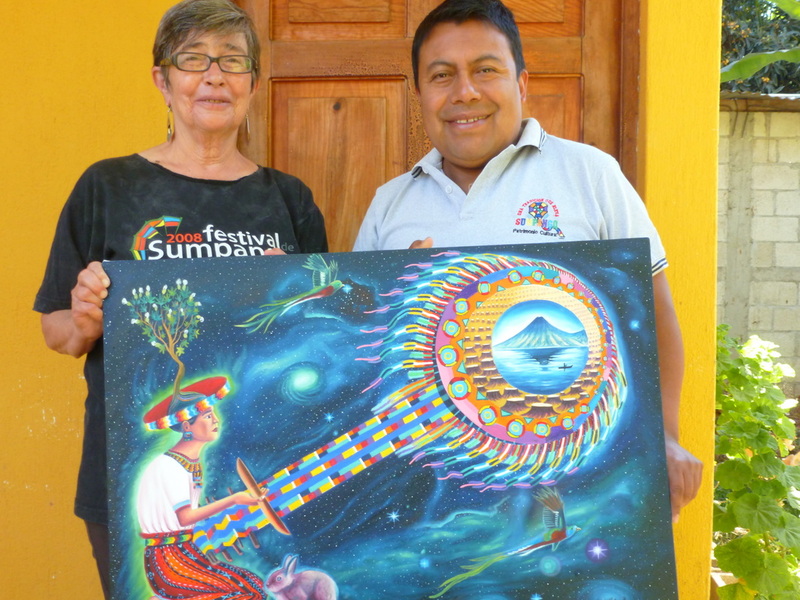 With master Sumpango kitemaker Julio Asturias and experienced guide Louise Wisechild, The Day of the Dead Maya Cultural Tour takes you behind the scenes of both the Giant Kites and the other traditions surrounding the Day of the Dead in Sumpango. 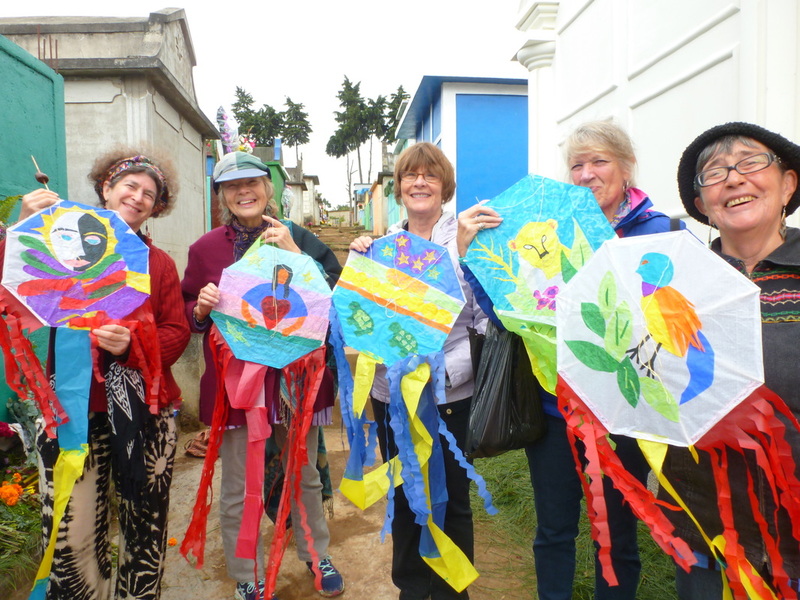 The creative accomplishment of these kites and the excitement of their flying are only one of the many highpoints of this tour. 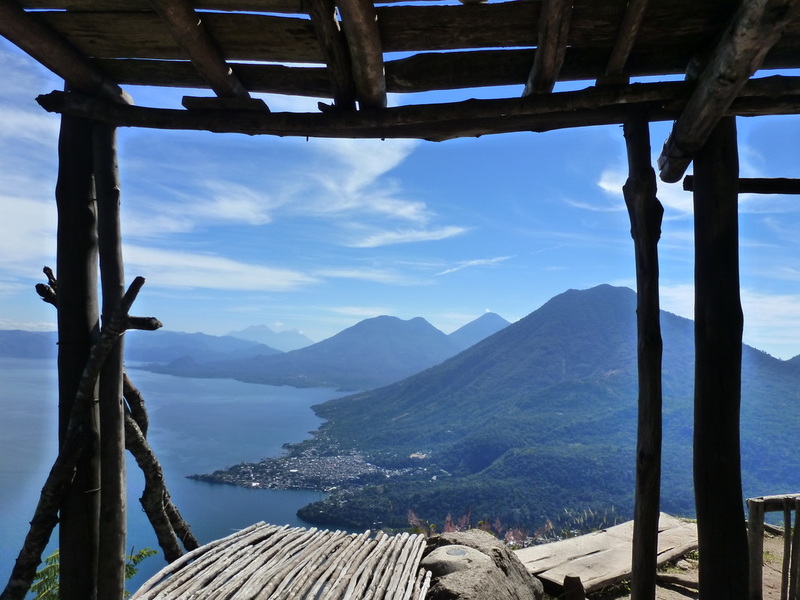 From colonial Antigua to the Maya pueblos rich with art and tradition around Lake Atitlan, this tour explores the rich cultures of Maya Guatemala and facilitates cultural exchange. Workshops with local people are an exciting part of BFGT's programs. 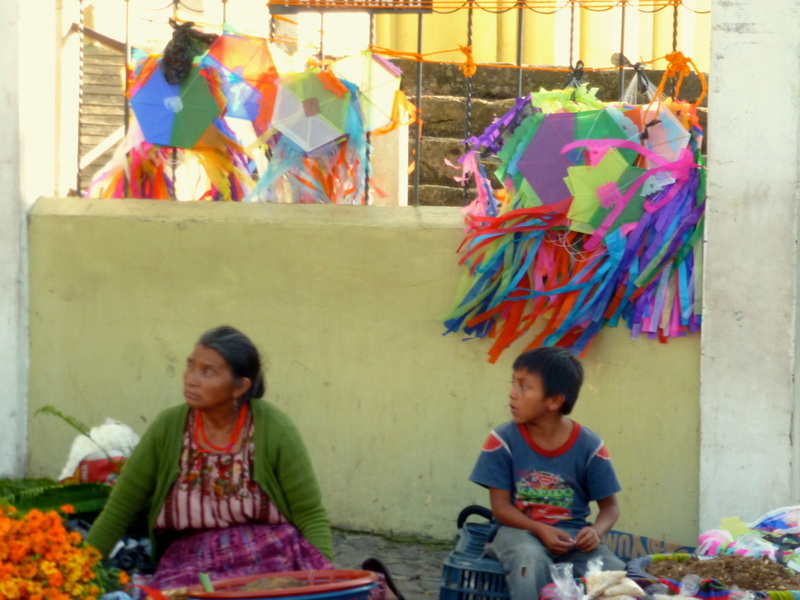 On this tour, participants make chocolates, constuct and fly a traditional Guatemalan kite, concoct herbal shamboo and cook up a Guatemalan dinner. Chocolate making, exquisite museums, beautiful murals, memorable meals, kites you have to see to believe, incredible views, laughter, learning, and new friends. This tour will live with you forever and renew your spirit! The 2016 tour begins in colonial Antigua, a UN Heritage city framed by spectacular volcanic mountains, Spanish colonial churches, a lively zocolo and endless cobblestone streets of colorful houses, art galleries and tiendas. Our introduction to the Maya begins here with tours of some of Guatemala's finest museums. Followed by a hands on experience with one of the great gifts of the Maya -- a chocolate making workshop. Guarenteed to delight all chocolate afficiandos! 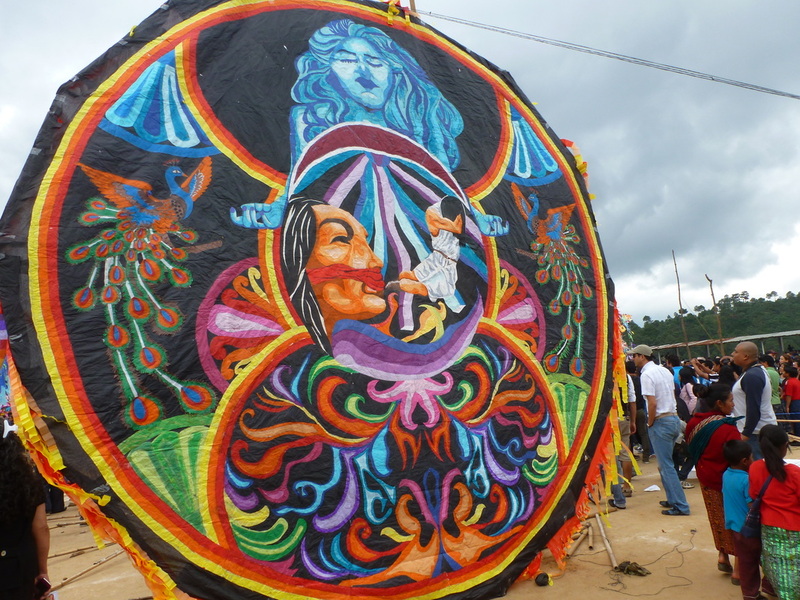 On Oct. 31, we head to Sumpango , for three amazing days of experiencing this Maya Kachikel Maya pueblo's tradition of Giant Kites to honor the Day of the Dead. The group stays two nights with a friendly family in Sumpango gaining a unique insight into life in the pueblo as well a chance to attend Day of the Dead festivities that other tourists don't see. This includes visiting the special Day of the Dead market, watching the kitemakers put the finishing touches on their giant kites, being welcomed as participants in the shamanic ceremony of blessing the kites, arriving at the festival early, before the crowds, with premium seating, able to enjoy the whole day without hours of traffic. 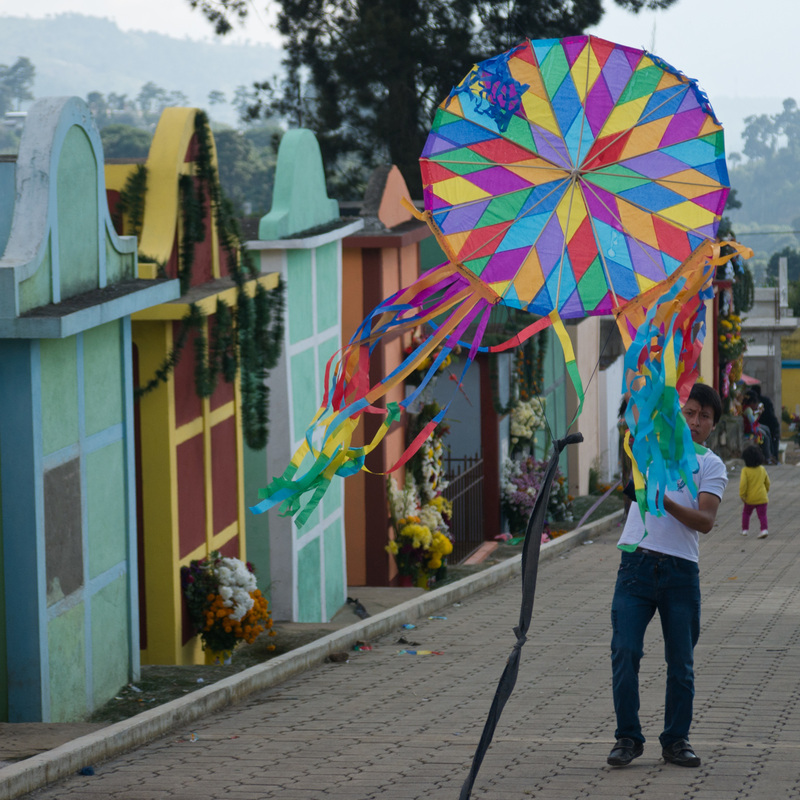 On the third day, each participant makes their own 8 sided Guatemalan kite to fly in the traditional way, in the cemetery, with Julio and his family. 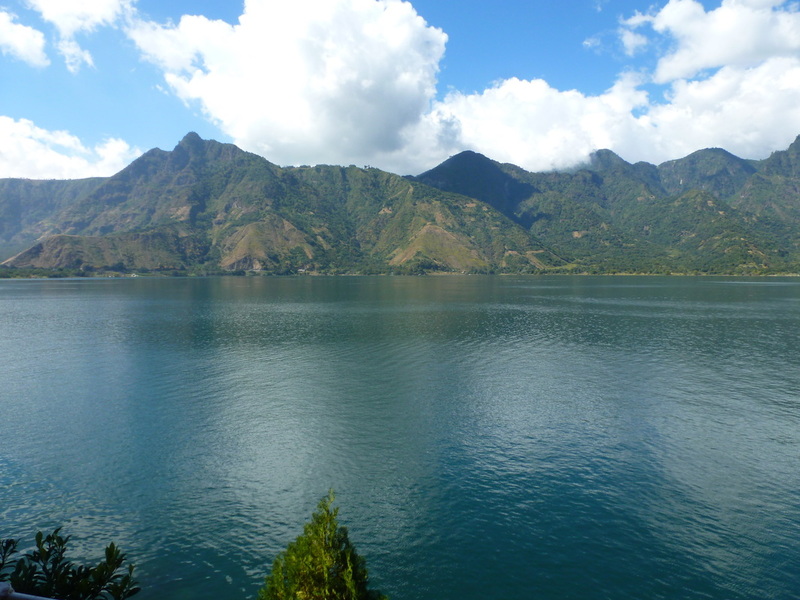 From Sumpango we travel through Guatemala's magnificent green mountains to Lake Atitlan, one of the world's most stunning lakes. San Pedro is one of the 13 T'zutujil and Kachikel Maya pueblos, each one known for distinctive artesania and Maya culture. 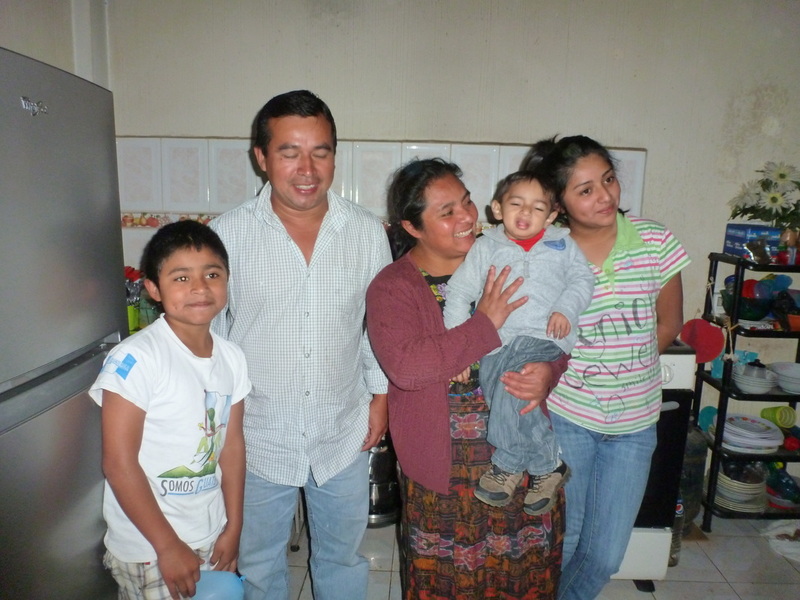 Participants will stay in a comfortable hotel for the six days of our exploration of Lake Atitlan. 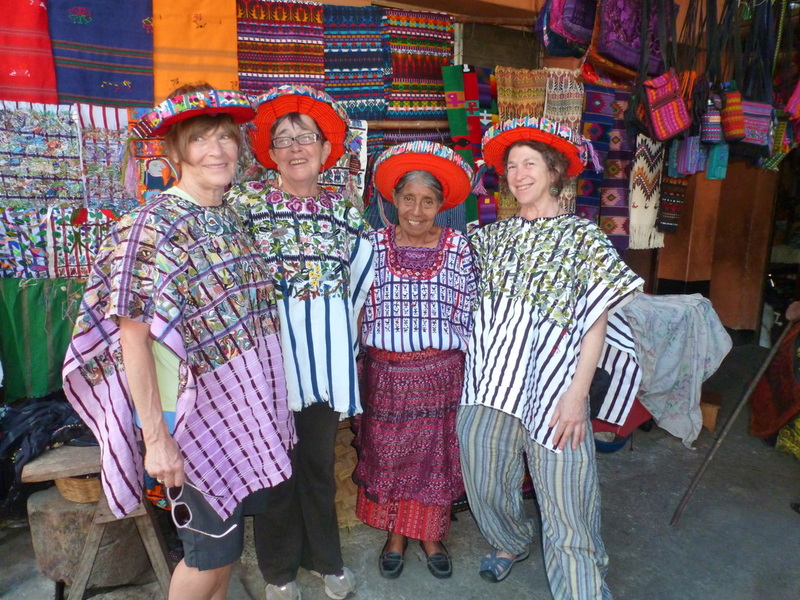 In San Pedro, we will explore the local market, visit the weaving tiendas, tour the"intervenciones" which cover entire walls of the pueblo, and sample some of Guatemala's best restaurants and live music. In San Juan we will make shampoo from local herbs and feast on our creations in a traditional guatemalan cooking class as well as visit the women weavers who are reviving the ancient tradition of natural dyes. 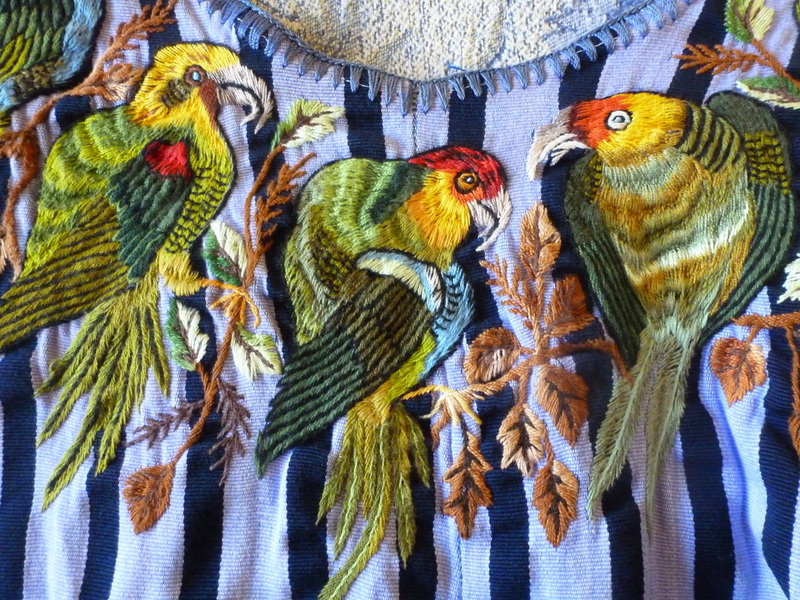 In Santiago, we will meet the Maya diety Maximón and discover their colorful embroidery and ancient churches. And of course, there will be time for lying in a hammock or exploring some of the areas' many trails. At the cemetery with our kites! 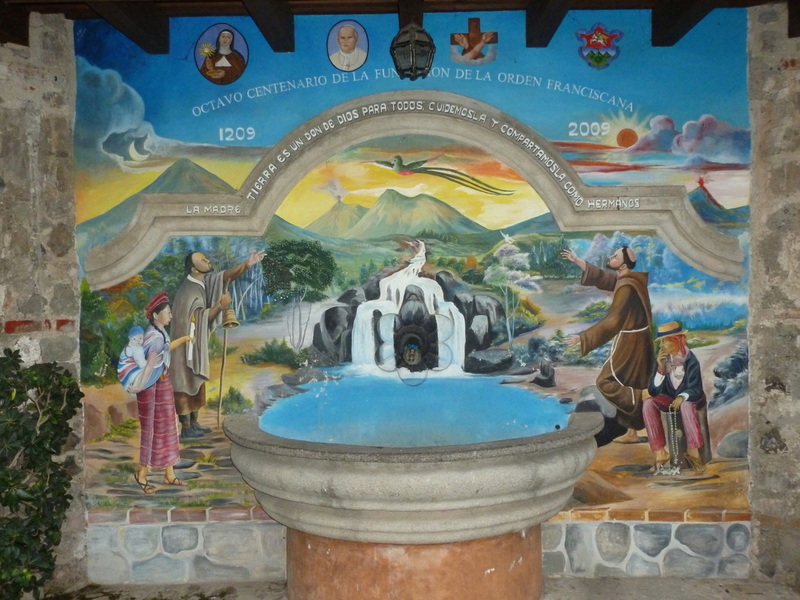 "Intervencion" mural honoring Doña Chona Rax, San Pedro midwife who has delivered 2000 babies. More about the Giant Kites.